As any successful crappie angler can tell you, the hooks you choose are no less important than your line, rod, and reel. Crappie sport bigger, more fragile mouths than similar species like bluegill, and they have an appetite for minnows rather than worms. If you’re new to chasing spring slabs, you might not know what to look for in a good hook. 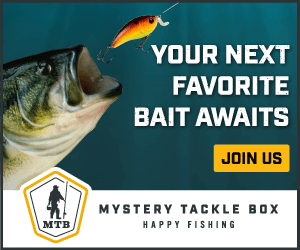 That pack of #8 bait holders sitting in your tackle box? Save it for something else! If that leaves you confused–or if you’re not even sure what a baitholder is–don’t worry. We’re here to help, and we’ll explain everything you need to know about hooks for crappie, including reviews of some of our favorites. If you know the parts of a hook, you’re a long way toward knowing why one is a better or worse choice for crappie. 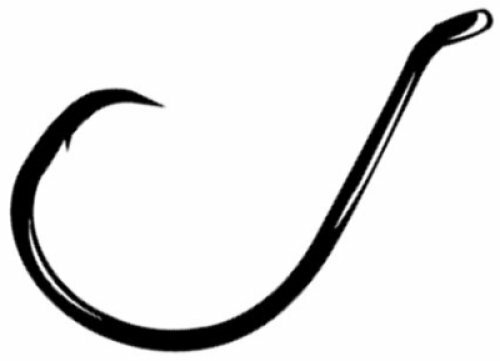 Eye – The eye of a hook is the point where it’s tied to your line. Eyes come from the factory in three configurations: turned up, turned down, or straight. These different configurations change how force applied to the eye orients the point. Shank – This is the length of the hook between the eye and the throat. Shanks come in different gauges of wire. Obviously, thinner gauges will bend more easily, and as we’ll explain in a moment, that’s not always a bad thing! For now, keep in mind that longer shanks are generally easier to remove from a fish’s mouth, and they allow longer live bait options with some styles of rigging. When the shank features a few barbs to help hold a worm in place, it’s called a bait holder. Shanks can also be offset, either for rigging with soft baits, or to improve their performance, as in the case of Tru-turn hooks. When the shank features a few barbs to help hold a worm in place, it’s called a offset, either for rigging with soft baits, or to improve their performance, as in the case of Tru-turn hooks. Throat – The throat is the place on the shank opposite the point and barb–the depth on the shank where the bend begins and the depth to which the hook will penetrate. Bend – This is the curved portion of the hook connecting the shank to the point. There are many different styles of bend, and they’re one of the critical features of hook selection. Different bends mark the distinctions between many common hook varieties. Gap – The distance between the point and the shank. This is another critical difference between hooks. The wider the gap, the more room for a minnow, but the weaker the hook per gauge. Barb – The backward facing prong below the point. Point – The business end of the hook. The numbering system they use is pretty simple. In single digits, larger numbers are smaller hooks. In double digits separated by a slash, larger is bigger. With the basics in mind, what makes an ideal crappie hook? Generally speaking, you’ll want larger hooks with long, thin shanks and plenty of gap. Let’s break this down and see why we say so. Crappie aren’t called “papermouths” by accident, and if you’re an avid angler, you already know that a gentle hookset is critical for these guys. But there are a few things you should consider when selecting the right size hooks. Crappie have large mouths relative their size, and we’ll often fish #2 and #4 hooks, moving up to a #1 for really big minnows. While you might fish #6 and #7 for bluegill, these smaller hooks can more easily tear themselves free from a crappie’s mouth, just by virtue of their tiny gap. Not everyone likes the same thing in a hook, and sometimes a quirk of your fishing technique or location makes a good choice less than ideal. But generally speaking, the best hooks for crappie feature a long, thin shank and a wide gap. This makes them easy to bait, easy to remove, and forgiving when you snag them on the brush you often find crappie schooling near. Let’s take a closer look at our recommended hook styles. Aberdeen – Easily the most common design for crappie, and an all-around excellent choice for panfish of all species. Aberdeen hooks are distinctive, sporting long, thin shanks and a gently sweeping bend that creates a large gap. Made from light-wire, these tiny hooks have some big advantages for crappie. That long shank makes them a snap to remove them from a wriggling fish. Their small gauge means that they do less damage to live bait, too, keeping it kicking longer, and the added flex and bend this provides prevents line-breaking snags. In fact, with a light-wire hook, you can often force it to bend to release it, and simply reform it with a pair of pliers. Circle – A common problem for anglers is gut hooking. This occurs when the fish swallows the hook before it’s set, often resulting in a dead or dying crappie–never a good thing! If you’re having trouble with gut hooks or want to increase the chance for a corner lip hookset, circle hooks can help. As their name implies, they offer a pronounced, continuous bend that creates their distinctive circular shape, and this unique shape is paired with a turned up eye. As a result, they behave very differently than a standard hook design. With a circle hook, you simply detect a bite and start reeling–no hookset is needed. The shape of the bend and eye causes the hook to turn and slide across the crappie’s mouth, resulting in a solid, ideal hookset in the corner. The downside? They’re pretty robust, and if you snag one, you’ll put your line to the test. They’re also not too live bait-friendly, and your minnows won’t live very long once you rig them. Sickle – Sickle hooks use an unusual bend to make the standard Aberdeen stronger while still being just as thin. This makes them much less likely to bend under stress, and if you hate the pliability of Aberdeen hooks–and some anglers do–but need the thick gauge for live minnows, a sickle hook might be just the thing you’ve been looking for. Tru-turn – Tru-turn hooks use a small offset in the shank to cause the point to rotate toward contact, improving the odds of a solid hook-up. For some anglers, this results in more fish, more often, and if you’re having trouble turning bites into catches, you might want to give this innovative design a try. There’s a lot of anecdotal evidence that hook color affects crappie behavior. Generally, gold, bronze, and red seem to work best. Whether this true or not we leave to you to decide, but in our experience, there’s something to it. As you can see, we generally recommend gold, bronze, and red Aberdeen hooks in sizes #1, #2, and #4 for crappie. They offer the characteristics most anglers need, most of the time, when chasing spring slabs. But if you have trouble with hooksets, either by missing fish altogether or from gut hooking them too often, you might try a Tru-turn or circle hook. 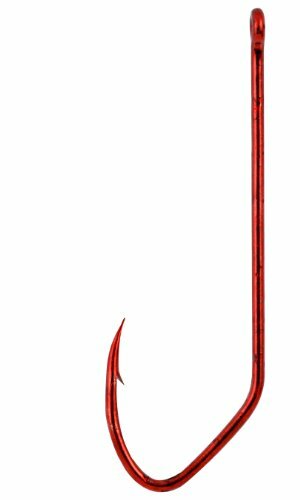 And if you can’t stand the intentional pliability of Aberdeen hooks, a sickle hook might be just the thing you need. The hooks we review below aren’t better or worse than one another. They’re just different, offering you a range of options and styles to suit your needs. Eagle Claw hooks have served generations of anglers, and their quality and sharpness are tried-and-true. Their Aberdeen hooks are built from light-wire, featuring the long shank, gentle sweeping bed, and large gap you want for crappie. As you’d expect, this allows them to bend under extreme load, helping you break a snag without breaking your line. Probably our favorite general purpose crappie hook, we really like the gold, and it’s available in a range of sizes including #1, #2, and #4. Gamakatsu makes extremely high-quality hooks, and they’re among the sharpest we’ve found. If you’re having trouble hooking crappie, their circle hooks might be just the medicine you need. Gamakatsu’s circle hooks are precisely what you’d expect, and in addition to a deadly point, they offer the long, curved bend and turned up eye that makes them work a charm. 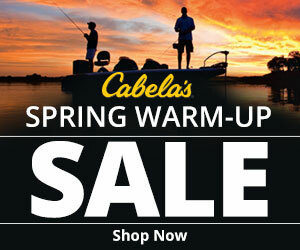 Available in nearly any size, we recommend #1, #2, and #4 for crappie. Unfortunately, they only come in black, but that trade-off wouldn’t bother us if the alternative is more gut hooks. Keep in mind, however, that these will be a bit rougher on your live bait and a lot more trouble if you manage to snag cover. It’s also critical that you not try to set the hook with this design–simply start your retrieve when you feel a bite! Matzuo is another hook manufacturer that’s setting a new bar for quality, and if you’re a crappie angler who just can’t stomach a flimsy Aberdeen, they’ve got a design that might be right for you. 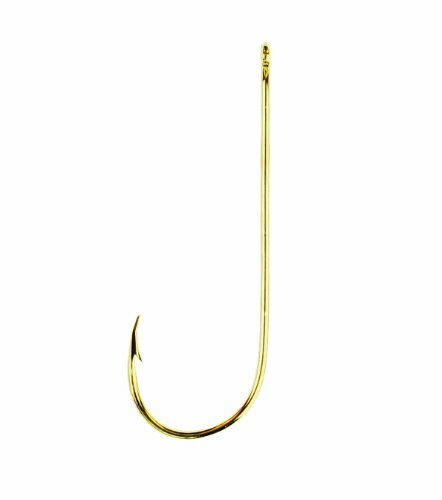 Their sickle Aberdeen hooks are traditional in most respects, but you’ll notice they’re a bit thicker and feature a flat initial bend. Together, this makes them quite a bit less flexible than the standard design. They’re less likely to open under extreme stress, and if that’s what you’re looking for, these hooks will deliver. Matzuo’s sickle Aberdeens come in a flashy red chrome, and are available in #2 and #4. Mustad, like Eagle Claw, is a trusted name in hooks since 1877. With that kind of experience, you can believe they know what works! Their excellent Aberdeen hooks are available in Gold, Blue, Bronze, and Blonde Red, in sizes #1, #2, #4, #6, #8. Expect a traditional design: long shank, gentle bend, big gap, and light wire. Tru-Turn’s innovative hook designs really do improve your odds, and if you’ve been missing strikes, we recommend you give these hooks a chance. Available in Red and Gold in sizes #1, #2, #4, #6, and #8, these are traditional Aberdeens except for a tiny bend in the shank. That bend causes the point to turn toward impact, improving the odds of a solid hookset. We hope our explanation and recommendations have helped you make the right choice for your next crappie adventure. While we usually prefer an Aberdeen hook, not everyone will, and we know that plenty of anglers might want to reach for a circle hook, a Tru-Turn, or even a sickled Aberdeen. They’ll all work really well if you understand their strengths and weaknesses. What do you think about our advice? Is there a favorite hook you prefer that we’ve left off our list?